The latest work day for the Friends of Three Cornered Copse started in a gloomy dark morning, as thick cloud promised to deliver the forecasted rain for the day. But again we escaped the showers and the nine of us which formed the work party began our task of Woodland Management. When I say "Woodland", I refer to the small coppice at the top of the copse, in the east corner, near Woodland Court. And when I say "Management", I mean clearing the dead and dying wood from between the struggling trees. This area, we recall, (perhaps not accurately), was planted after the 1987 storm, when the copse was devastated by the wind. The evidence of this is the straight rows of similar aged trees, some still retaining their plastic collar, left to protect the saplings from rodents and rabbits. Over the years the debris from the growing woodland has mounted up; in parts them is no real forest floor, and the surviving trees are competing with the invading species such as alder and sycamore. Under supervision of the Park Ranger, we took down dead and dying trees, cut the dead branches from the larger ones and cleared the forest floor of the fallen wood. In a few hours we had built a large woodpile, ready for chipping onto the path, before the ground starts to soften. The colours of autumn are starting to take over the foliage in the copse. 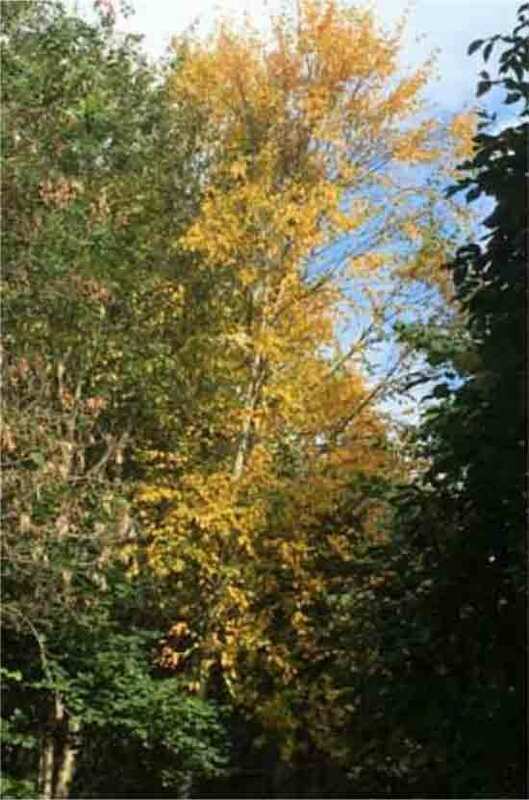 The recent dry weather has kept the leaves on the branches while they lose the green and assume the golden, as chlorophyll deserts the tissues, and the foliage senescence begins. Look along the edge of the meadow in the next few weeks to see the beech trees turning, usually a glorious sight in the sunshine. Last month we had a different work day. It was the first we'd organised on a week-day, and it was a pleasure to welcome a few newcomers, who are unavailable at the weekend for our usual work sessions. The exercise was to tackle the litter that had accumulated over the summer. An impressive sixteen black bags were filled, so a huge thank you to those that took part in the clean-up. We'll be holding a few more of these week-time work sessions; for details and dates, please look at our web-site or Facebook page.